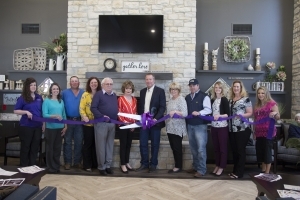 On March 26, 2019 Castro County Hospital District (CCHD) proudly presented their new long-term and senior living facility, Country View Living (CVL), to the community, with an exciting grand opening. 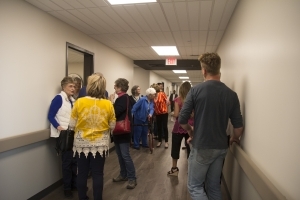 Over 600 people from Castro County and the surrounding area came to see the 60-bed facility. 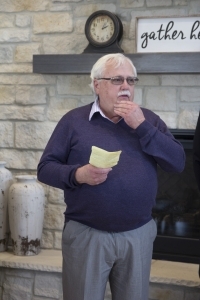 The grand opening event began at 2:00pm on Tuesday with a ribbon cutting and then speeches from Jim Bradford, Chairman of the Board of Directors for CCHD and Henry Ramaekers, recently retired Chairman of Board of Directors for CCHD. Both spoke of the exceptional staff and care that will be provided at CVL and following the Mission Statement for CCHD and the community. 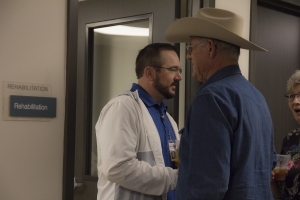 The facility will provide additional revenue for CCHD and keep residents at home. 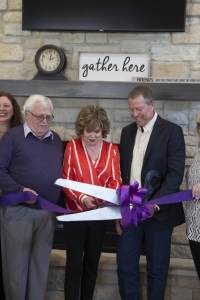 They also recognized CCHD’s CEO, Linda Rasor for her work and the time she dedicated to take the facility from a vision to a finished product. The project began in August 2016. 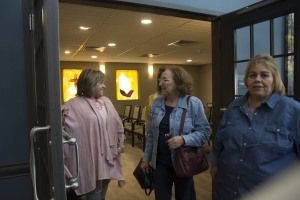 When guests entered the doors of the facility, they were greeted with excited and welcoming smiles from Linda Rasor, CEO, CVL Administrator, Laura Kimball and CVL’s Director of Nursing, Lacey Bethke. 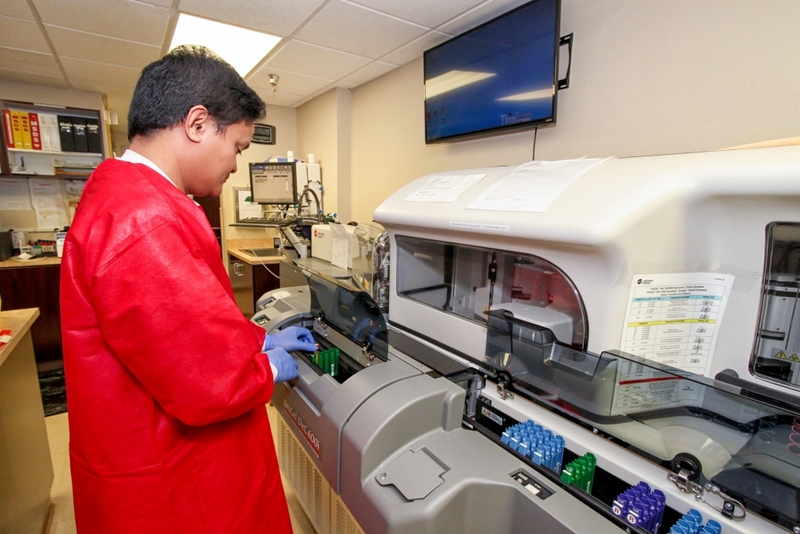 Throughout the facility, you could find the CCHD and CVL team members assisting with questions and providing tours of each room and sections of the facility. 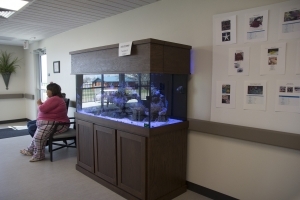 There is a Salt Water Fish Tank on the East Wing for the residents to enjoy and a “Coming Soon” display of an Aviary. 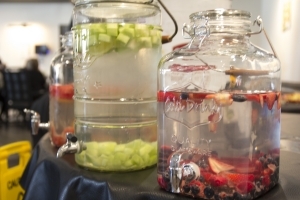 Attendees had the opportunity to enjoy Luby’s Inc. culinary expertise with food samples like BBQ Sliders, Teriyaki Shrimp, and more options spread out through the facility. 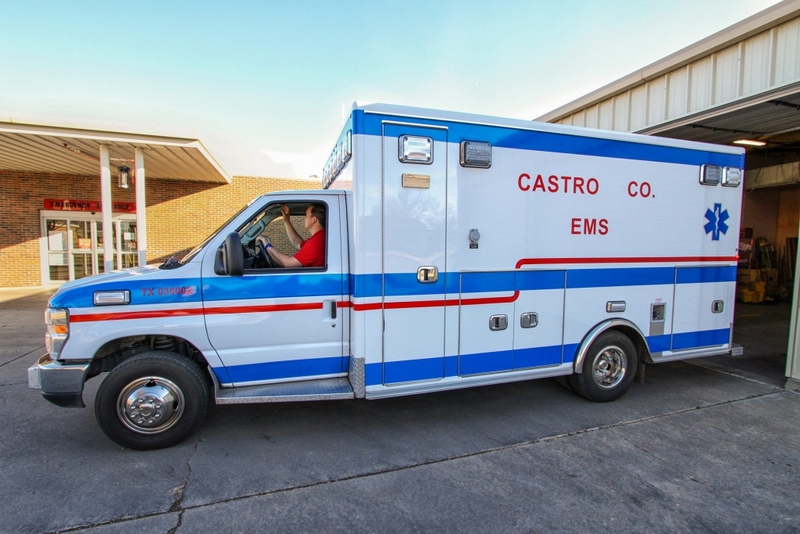 CVL has partnered with Luby’s Culinary Services, a foodservice division of Luby’s Inc., that provides foodservice operations at healthcare, business and industry, and higher education facilities. Others commented on how open the facility feels with the numerous large windows, skylights and patios on every wing. The chapel with the stained-glass windows was a favorite of many. 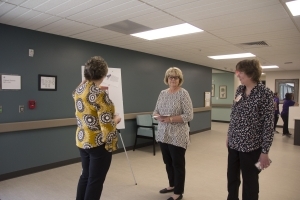 The rehab department of CCHD answered questions about the Wellness Center and Rehab area. 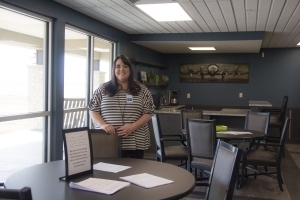 Lacey Blount also reviewed activities that the residents are participating in and Amelia Barerra showed off the salon. Janet Sammann also answered many questions about the new salt water tank. 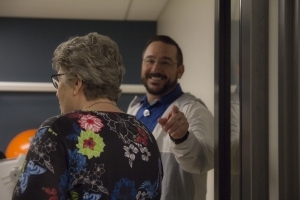 The dietary staff for CVL have been working hard on learning and preparing Luby’s recipes and were excited to share the tasty food with the community during the grand opening. Currently, Luby’s is not open to the community, but CVL plans to open to public in the future for lunch. 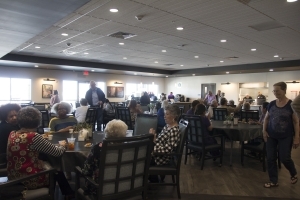 The dining hall was arranged with comfortable chairs and spacious tables where people sat and enjoyed the Luby’s and Starbuck’s samples. 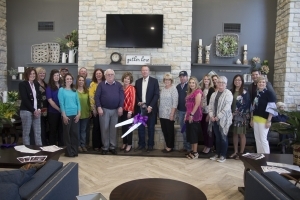 In the partnership with Luby’s Inc., CVL had the opportunity to add the Starbucks in the facility, and the kiosk can be found in CVL’s dining hall. 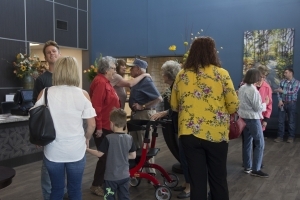 Starbuck’s was opened to the community on March 11, 2019 and has had great success. 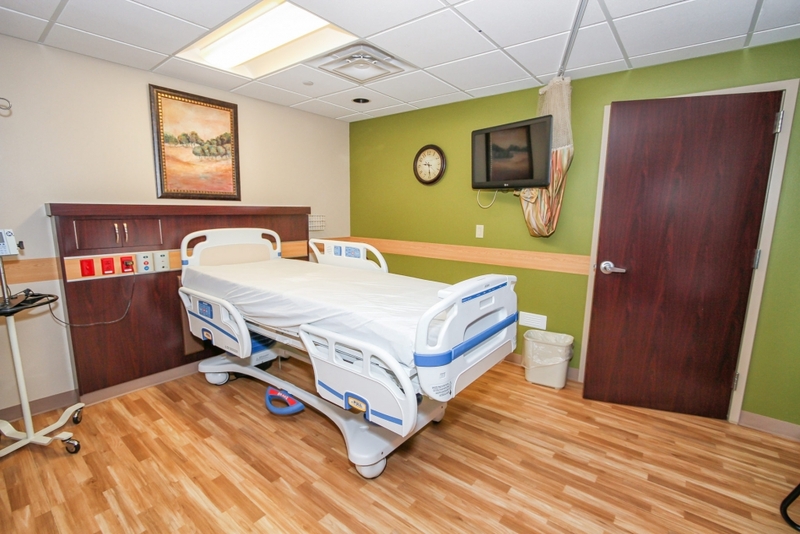 CVL completed their construction in February 2019 and has passed their life safety inspection allowing them to admit three residents to the facility. 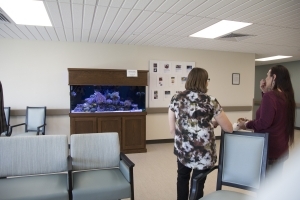 CVL is in the process of requesting their health inspection and once completed they will start admitting the remaining 39 people who are on their waiting list. The health inspection is not scheduled and could occur in one to five weeks. Residents will be admitted once the inspection is completed. 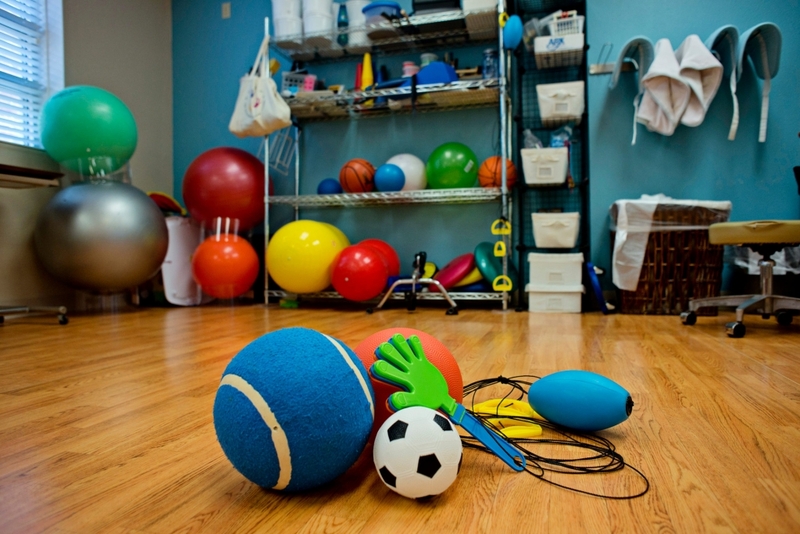 If you missed the grand opening, and you or a family member are interested in the facility the team at CVL would be delighted to show you around. 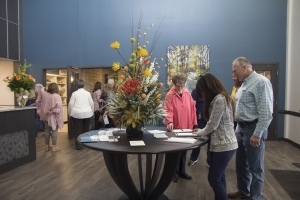 For more information call 806-647-2984 to set up a time to stop by. You can also visit their website at www.countryviewtx.com.